Celebrated by critics like Edmunds.com for their “upscale interior and compelling performance”, the new Chrysler 200 sedans are an unambiguous expression of high-end luxury. 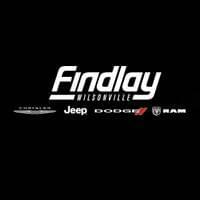 Available now from Findlay Chrysler Jeep Dodge RAM of Wilsonville, you’ll find that each one presents a near unrivaled sense of indulgence. New Chrysler 200 sedans are as hard to resist as they are to put into words, so why not schedule a test drive or explore our financing options at Findlay Chrysler Jeep Dodge RAM today?